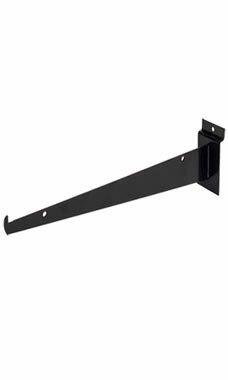 14" Metal Shelf Brackets for Slatwall can be used with any standard 12” depth shelf. Our shelf brackets feature an upturned notch at the tip to allow for a secure fit. Shelf brackets are rated to permit a 30 lb. load limit per bracket (this includes the weight of the shelving and bracket).